Register at Rembrandt Casino and double your money instantly! The casino promises they will match your initial deposit 100% up to a maximum deposit of €/$ 200. As soon as you sign up, you will also receive 10 free spins on Starburst, the most colourful and fun slot game there is! 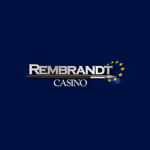 The Grand Master with an eye for detail, Rembrandt is the theme of this casino. The message is immediately clear to everyone, a long standing online casino that has stood the test of time. The casino began in the year 2011, and although it was developed and designed for players from Germany, Sweden and Norway it caters to a large English speaking audience worldwide. In fact, the casino is offered in these languages. An elegant casino experience that’s more than just about painting a pretty picture, Rembrandt casino is powered by a number of big name software providers including NetEnt, Microgaming, Betsoft, Play ‘n GO and Tain, and it is the perfect destination for players who want variety without compromising quality. The casino belongs to Condor Gaming and holds license from Curacao eGaming and the Malta Gaming Authority. This means that players in all the accepted territories can visit the site safely in the knowledge that their personal details will never be put to risk and can never fall into the hands of third parties. What’s more, independent authorities certify the true randomness of all games by regular audits. So, if you’re in the mood to collect some big wins in the perfect casino environment, you have to check Rembrandt Casino out!. Your warm Welcome Bonus awaits! A very appealing 100% bonus match up to €/$ 200 will be given to you as soon as you register and make your first deposit. The minimum deposit to trigger the welcome bonus is €/$ 20 and when you’ve made the deposit, you’ll aslo get 10 free spins on Starburst to boost the feel good casino feeling. It’s very important to read the Terms and Conditions before deciding to accept a bonus. There are always important considerations like the wagering requirements. Typically, a wagering requirement is the number of times you must play the bonus before being allowed to withdraw your winnings. Your accumulated winnings made whilst working towards your wagering requirements will be held in a pending balance and cannot be withdrawn until the requirements are met. You can however, use this money to work towards the wager requirement. For example, If your online casino offers you a €/$ 20 bonus with a 10x wagering requirement, you will have to spend €/$ 200 on eligible games before you can withdraw pending winnings earned. At Rembrandt online casino, the wagering requirements are 30 x and the minimum deposit required to trigger the Welcome bonus is €/$ 20. However, Rembrandt casino steps away from the typical wagering requirements and has adopted a very interesting take on the whole wagering concept. You still have to wager 30x the amount of the bonus plus the original deposit, or fulfil at least 20% of your wagering requirement and then you will be allowed to do a “buyout”, which means you can withdraw the wagering you’ve already fulfilled. Once you’ve settled in and become a regular client, Rembrandt casino will offer you lots of interesting promotions where you can expect to get anywhere lots of free spins and great bonuses to extend your gaming time. 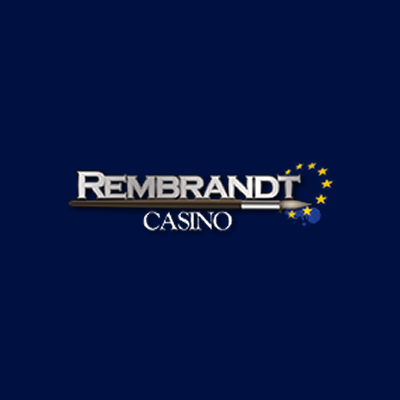 Rembrandt Casino allows small deposits of just €/$ 20 that can be conveniently trasnferred by a number of convenient and secure payment methods. You can use the major debit and credit cards including VISA and Mastercard, e-Wallets Trustly, Skrill or Paysafecard and other payment methods include Sofort, Zimpler, Bank Transfer, Sofort and Wire Transfer. At the moment PayPal is not supported. Withdrawals are easy to make by visiting the site’s payouts page where you’ll find that the minimum withdrawal amount is €/$ 20. You’ll have to verify your identity before making your first withdrawal, and there is a 48-hour pending time before withdrawals are processed. In this time you can change your mind or cancel the request. The withdrawal option for withdrawals is Bank Transfer but you can request a different method by contacting the support team. Payout times for e-Wallets are between 2-7 business days, and credit and debit cards take between 3-5 days. But to be safe, work on the average payout times of between 3-7 days. Your deposits, and in fact all your financial transactions are absolutely safe at Rembrandt Casino as they are implemented using state-of-the-art encryption technology. Rembrandt Casino provides its players with access to a very wide selection of casino games from software providers like NetEnt, Microgaming, Quickspin, Novomatic and iSoftBet. Sectioned into lobbies that can be further broken down by game type or provider this casino is incredibly easy to navigate and features a handy search bar to help players locate their preferred title and as there are 440 games to choose from, this feature is very handy. Whether you’re searching for the newer titles like Reel Spinner, Grim Muerto and NRVNA: The NXT Xperience or something a little more classic like Bloodsuckers, Gonzo’s Quest and Ariana, you’ll have no problem entering your keyword and finding the game in just a few seconds. For player that Jackpot slots and video slots, the online casino offers titles such as Samurai Ken, Legend of Loki, Joker Strike, Jack and the Beanstalk, Sakura Fortune, and many more. The presence of Tain Games and Betsoft also allows for some more niche titles to be included, like Cafe De Paris and Frankenslot’s Monster. Rembrandt casino also excels with Video poker, there are 53 different consoles for players to choose from! Venturing beyond the slots, Rembrandt Casino also features an incredibly detailed selection of table games, with a massive 41 Blackjack options, 22 Roulette variants, nine forms of Casino Poker and even a specialist title like Baccarat is available in six different formats. some of the card games enthusiasts can enjoy are Blackjack, Poker, Caribbean Poker, Baccarat Low Limit and Baccarat. Roulette fans will be delighted to know that Rembrandt has French Roulette, Premier Roulette, Roulette Pro, European Roulette, and American Roulette and for those who love the theme machines, you’ll find lots o those too! Rembrandt casino also has a sportsbook and for sports betting, you can bet on the games in the best soccer leagues, basketball, ice-hockey, handball or any other sports event. There are two types of live casino options, one from Net Entertainment and one from Microgaming and we are absolutely sure you’ll love playing Blackjack, Roulette, Baccarat and the typical variations at the live casino. Rounding out the full selection of casino games are 38 different scratch cards and a selection of bingo, keno and arcade-style game options. The Rembrandt Casino version for mobile devices is perfectly optimised and not only does it meet the highest standards, but new games are consistently added for a great on the go entertainment device. The casino can be accessed on Android and iOS for both mobile phones and tablets. If you’re a fan of playing casino games on your mobile device, then you should consider playing at Rembrandt mobile casino straight from the browser. There are no dedicated apps as yet but with tons of fun and entertaining games available, and lots of promotions and the welcome bonus, you won’t feel like you’re missing out. Protection of data has become one of the most important consideration this year in the online world and at Rembrandt all the player information is protected in accordance with applicable laws and data protection acts, and personal data is not shared with third parties. All the casino games are approved by iTech Labs, an organisation that implements random number generators for online casino software and certifies these casinos for fair gaming. Rembrandt Casino was licensed to operate under Costa Rica jurisdiction but as of early February 2016, they began to operate under license from Curaçao eGaming. All the customer support information can be found directly at the bottom of the first page of the casino lobby. You can contact the customer support team by sending an e-mail to [email protected] and your answer will follow in just a few hours. The support team are all very friendly and professional and if you find that you need quick answers, then we suggest you use the live chat. This handy feature is open from Monday to Friday from 12:00 until 00:00 and on Saturdays and Sundays from 10:00 – 12:00 and then from 20:00 until 00:00. The casino also features a very detailed and useful FAQ section where all the frequently asked questions have already been answered and posted. Rembrandt Casino has many advantages ranging from the massive catalogue of games, the variety of the games, a very rewarding Welcome bonus, enough banking methods to easily make your first deposit or indeed all your deposits and a very friendly and helpful customer services team. This casino is highly recommend. Become part of the Rembrandt community by registering, make a deposit and take advantage of the Welcome Bonus and free spins. There’s tons of diversity and tons of good reasons to register.